I am always on the hunt for new isekai (that’s ‘trapped in another world’ for those who don’t know) light novels. Somehow I’d missed the anime Outbreak Company when it first aired, so I jumped at the chance to read the light novel. 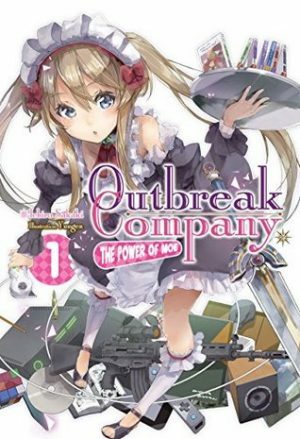 Outbreak Company Vol. 1 by Ichiro Sakaki, author of Chaika: The Coffin Princess among others, is a light novel that is both fun, but unafraid to delve into the more serious aspects of politics and the issues that arise when transporting pop culture to another world. I have always loved portal fantasies, those books where a group of children fall through the back of a wardrobe and enter a world of fantasy and magic. 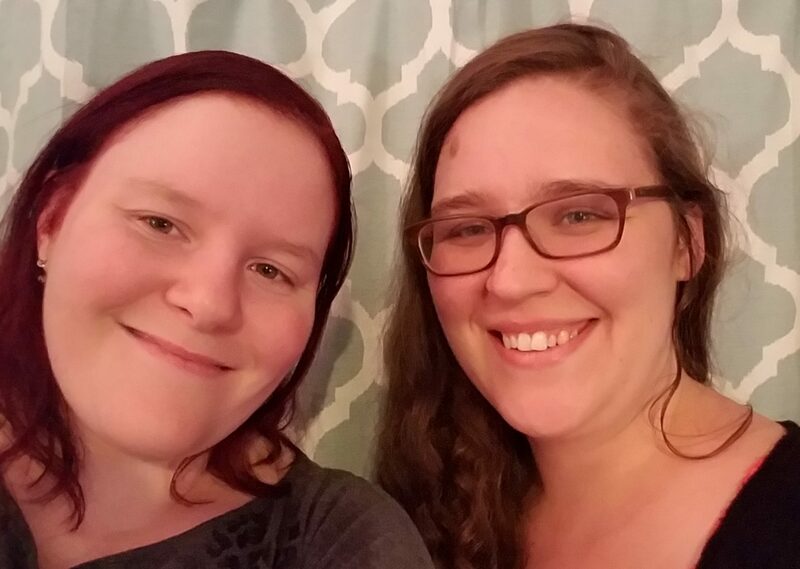 Last year, Every Heart A Doorway piqued my interest based on its new spin on this familiar scenario – what happens when someone comes back to our world? 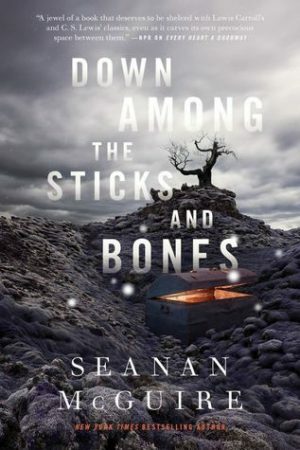 Down Among the Sticks and Bones by Seanan McGuire is dark, stunningly written, and utterly beautiful. Down Among the Sticks and Bones has some of the loveliest prose I have read in quite some time. It’s the sort of writing that normally makes my father look fondly at the book in hand and say ‘people don’t write like this anymore’. Reading McGuire’s work is a real treat. I devoured this book; it was a one sitting read. I have read a lot of stuck in another world type fantasy. High fantasy, light novels, manga, stuck in a video game, or fallen through a wardrobe – I read them all. 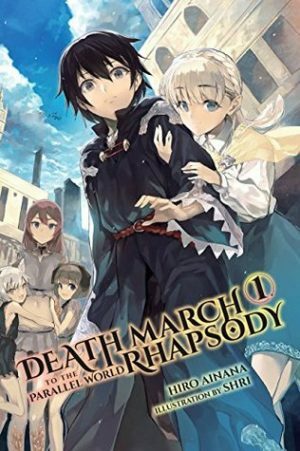 Death March to the Parallel World Rhapsody by Hiro Ainana is one of my all-time favorites within the genre. While bearing a different sort of humor and extremely different main characters, Death March is just as excellent a deconstruction of the genre the light novel Konosuba. It is a light novel I highly recommend, and an anime I highly anticipate within the coming year. I love everything fantasy. Fantasy novels. Fantasy light novels. Fantasy manga. High fantasy. Low fantasy. Magical realism. All of it. I’ve seen all the tropes, all the clichés, and format specific tendencies. 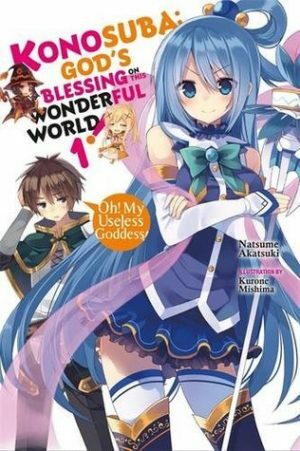 Konosuba: God’s Blessing on This Wonderful World!, Vol. 1 by Natsume Akatsuki takes every single one of those, plays with it, and turns it on its head.